SUB-TOPICS:- ACIDS, BASES AND THEIR PROPERTIES TIME: - 35 MIN. 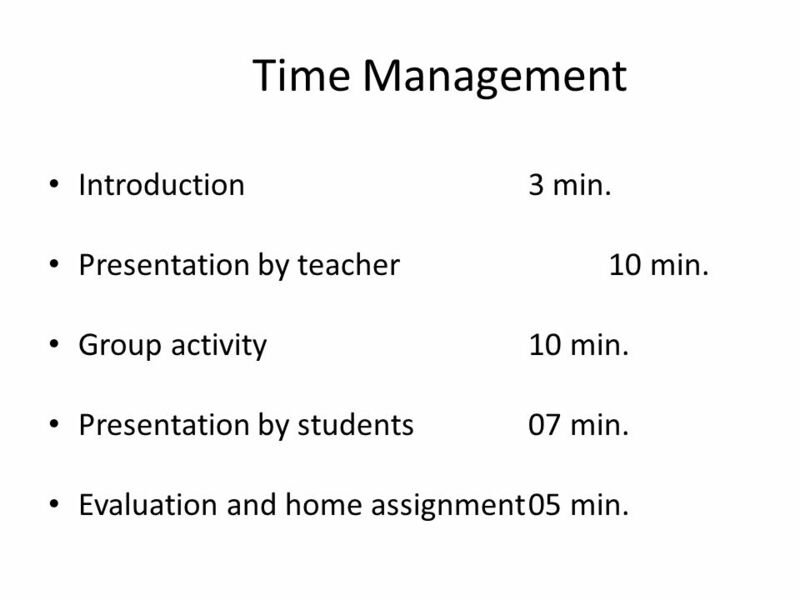 2 Time Management Introduction 3 min. Presentation by teacher 10 min. Group activity min. Presentation by students	07 min. 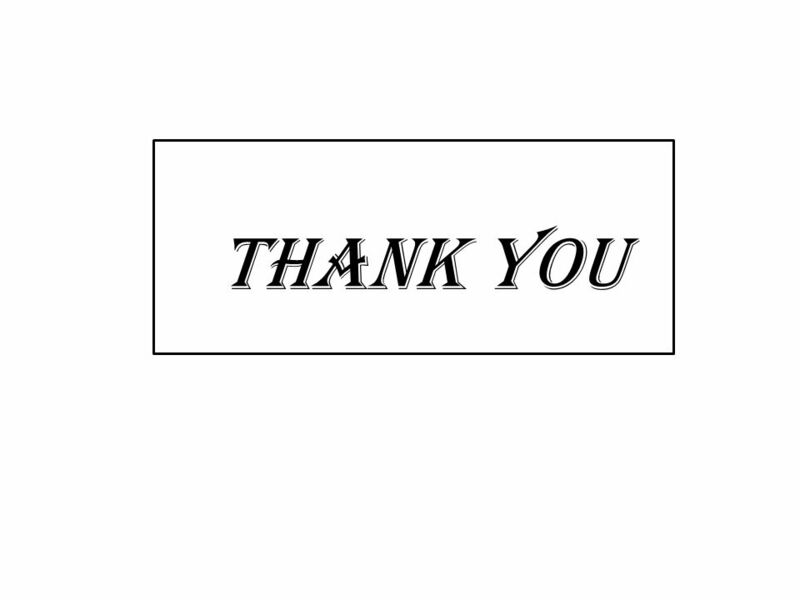 Evaluation and home assignment	05 min. 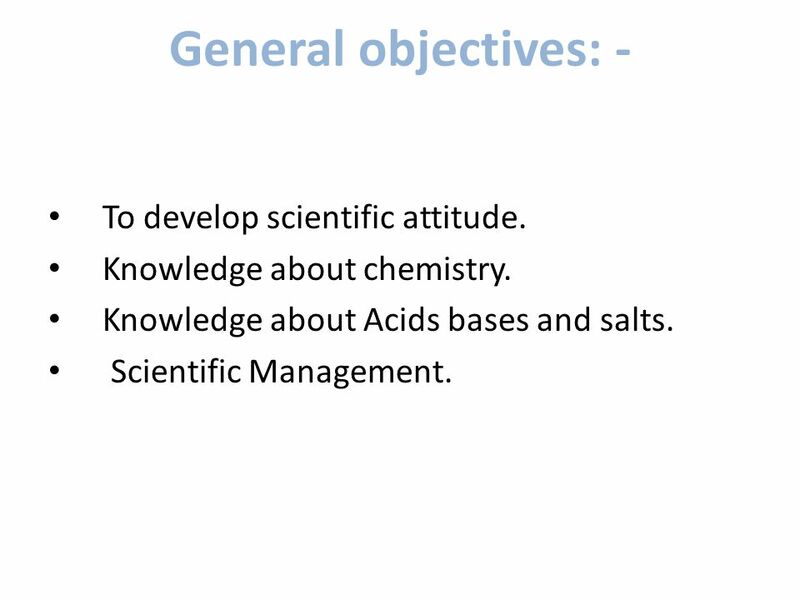 3 General objectives: - To develop scientific attitude. Knowledge about chemistry. 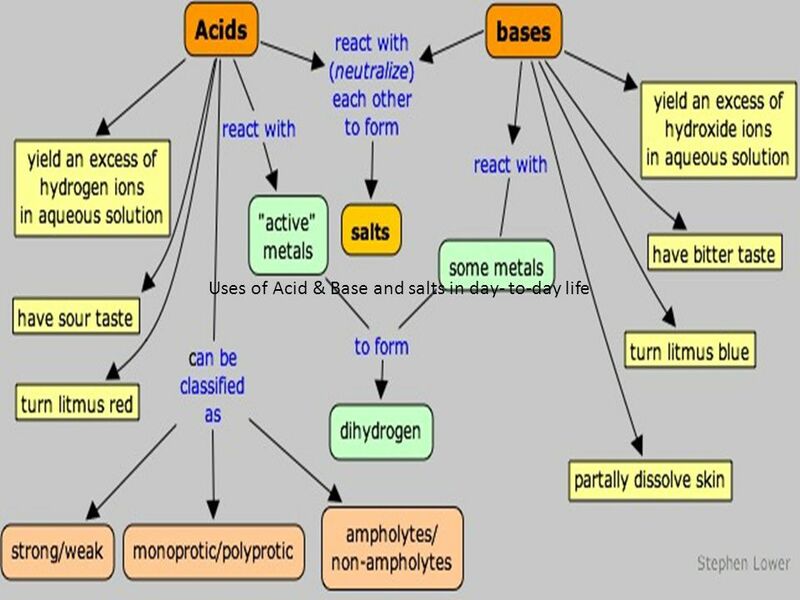 Knowledge about Acids bases and salts. Scientific Management. 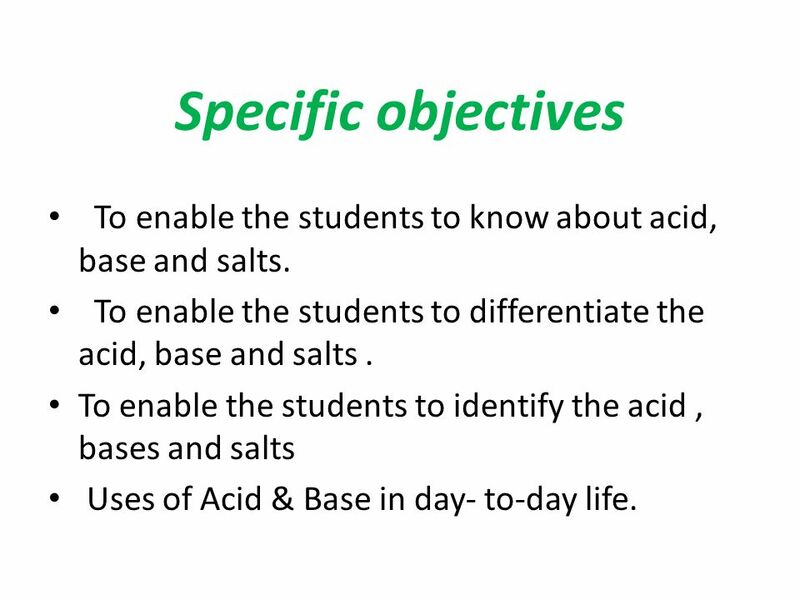 4 Specific objectives To enable the students to know about acid, base and salts. 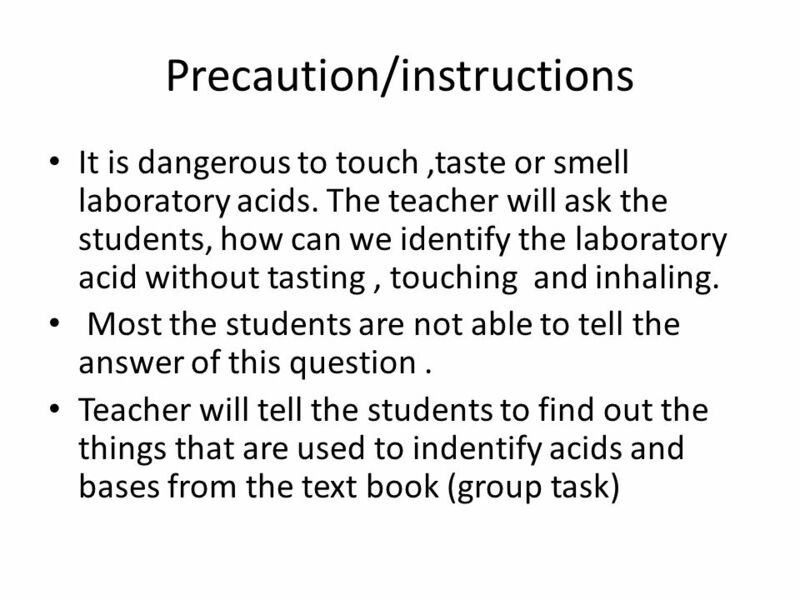 To enable the students to differentiate the acid, base and salts . 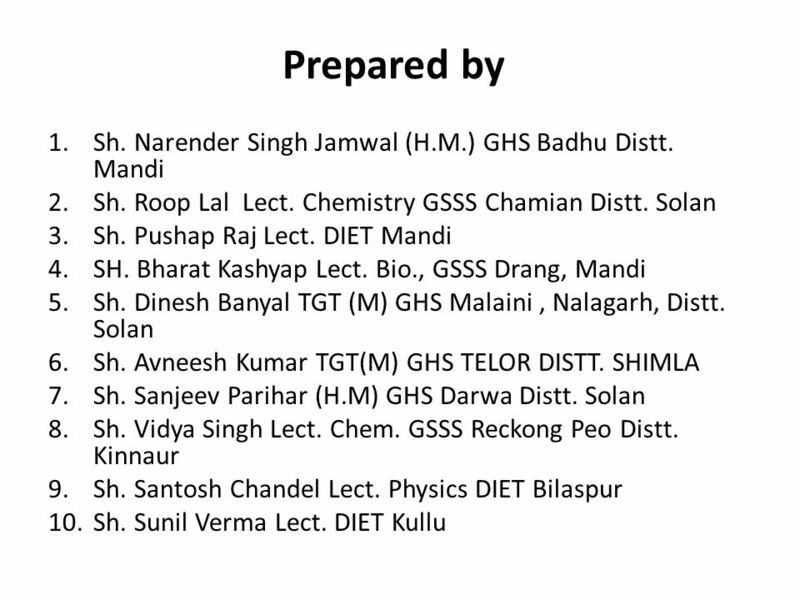 To enable the students to identify the acid , bases and salts Uses of Acid & Base in day- to-day life. 6 PK Testing:- 1. 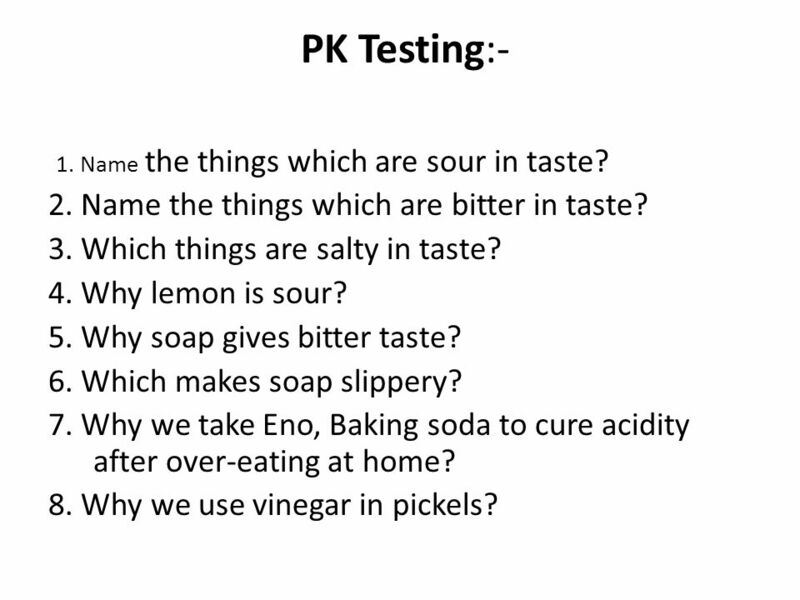 Name the things which are sour in taste? 2. Name the things which are bitter in taste? 3. Which things are salty in taste? 4. Why lemon is sour? 5. 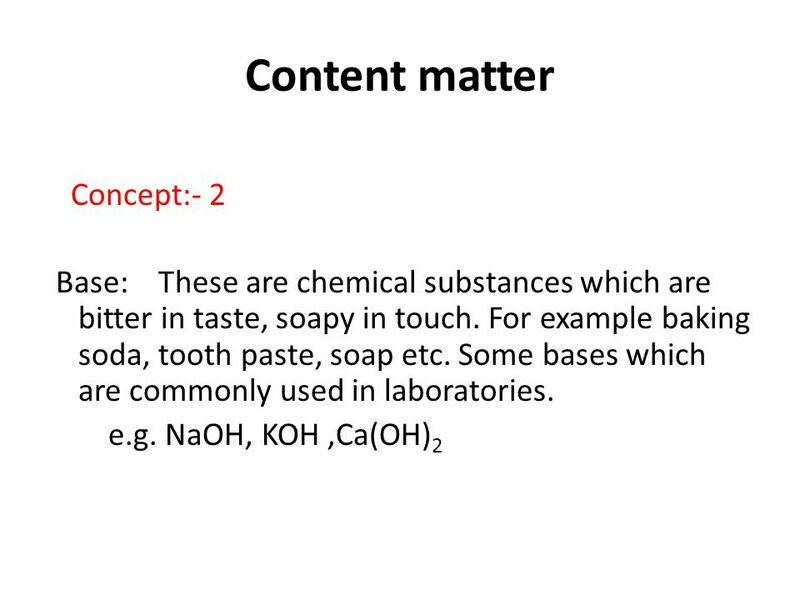 Why soap gives bitter taste? 6. Which makes soap slippery? 7. Why we take Eno, Baking soda to cure acidity after over-eating at home? 8. Why we use vinegar in pickels? 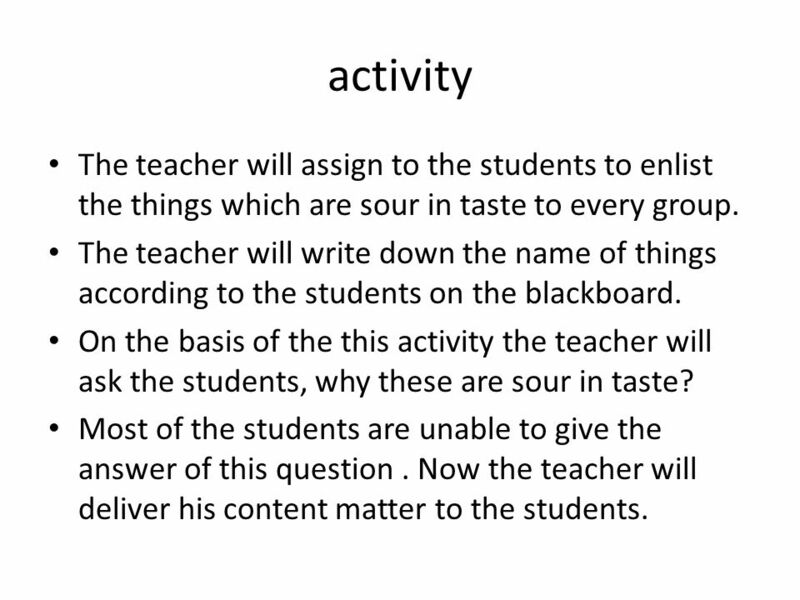 7 activity The teacher will assign to the students to enlist the things which are sour in taste to every group. The teacher will write down the name of things according to the students on the blackboard. On the basis of the this activity the teacher will ask the students, why these are sour in taste? Most of the students are unable to give the answer of this question . Now the teacher will deliver his content matter to the students. 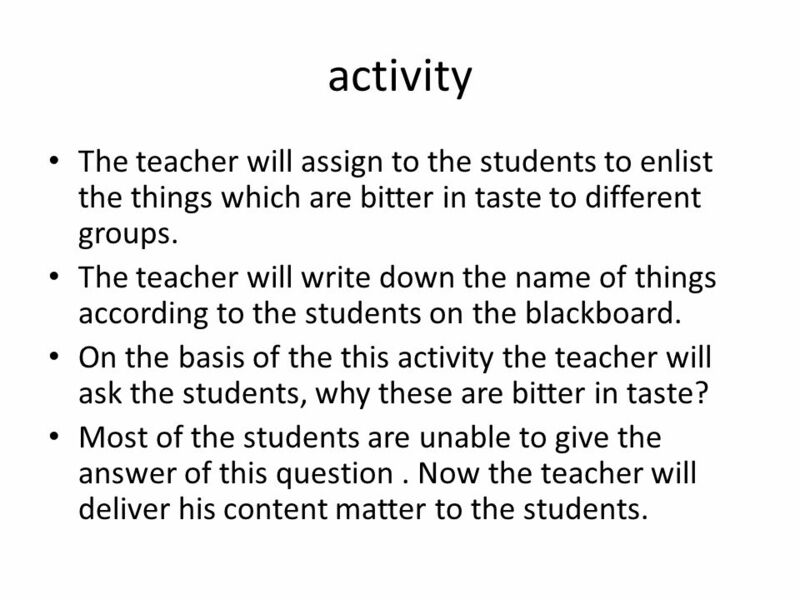 9 activity The teacher will assign to the students to enlist the things which are bitter in taste to different groups. The teacher will write down the name of things according to the students on the blackboard. 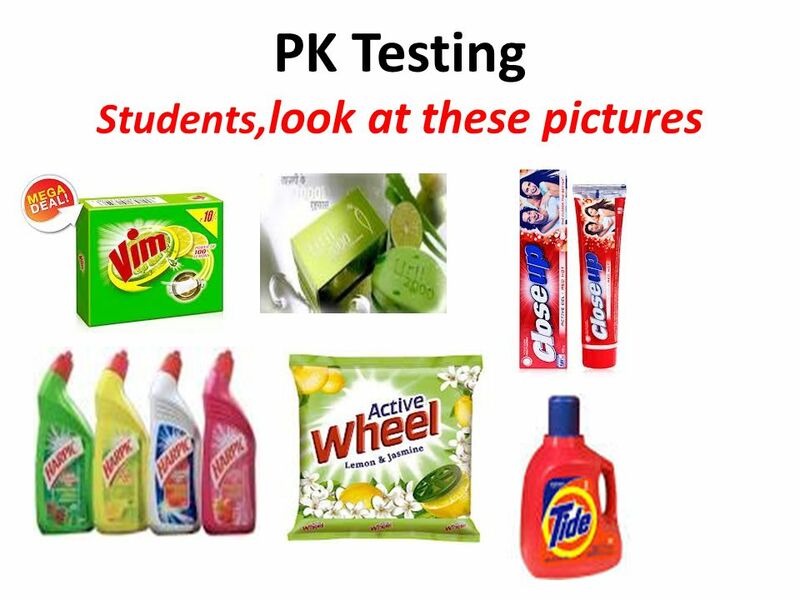 On the basis of the this activity the teacher will ask the students, why these are bitter in taste? Most of the students are unable to give the answer of this question . Now the teacher will deliver his content matter to the students. 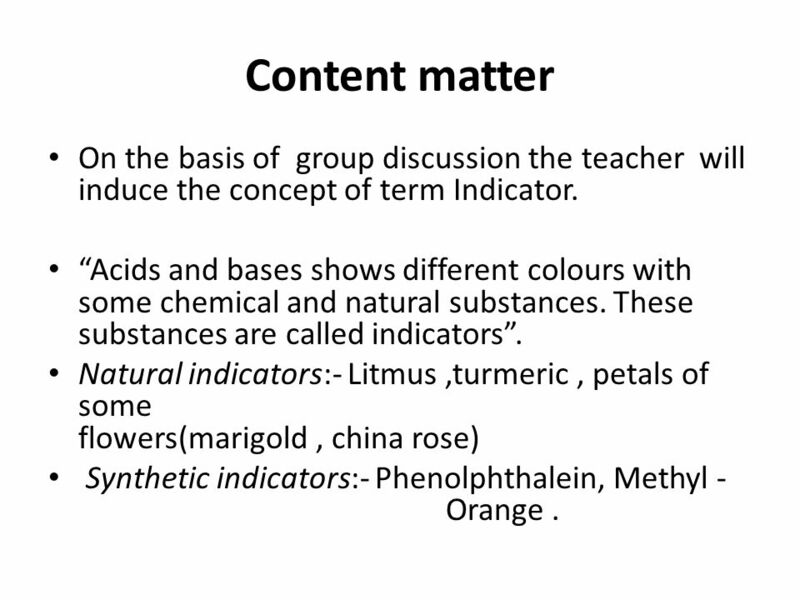 13 Content matter On the basis of group discussion the teacher will induce the concept of term Indicator. “Acids and bases shows different colours with some chemical and natural substances. These substances are called indicators”. Natural indicators:- Litmus ,turmeric , petals of some flowers(marigold , china rose) Synthetic indicators:- Phenolphthalein, Methyl Orange . 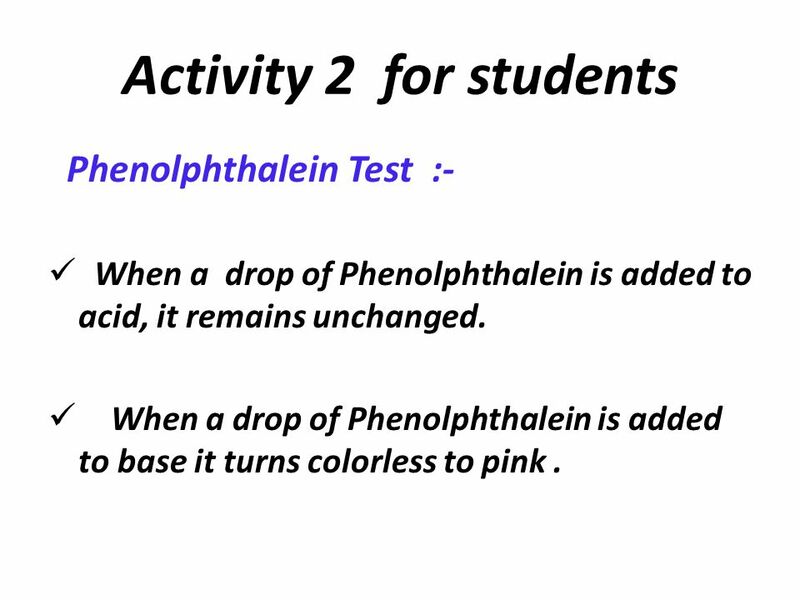 When a drop of Phenolphthalein is added to acid, it remains unchanged. When a drop of Phenolphthalein is added to base it turns colorless to pink . Name the fruits/vegetables which are bitter in taste? Do you know vinegar (sirka) ? Name the acids used in day- to- day life. Give an example of a base used day-to-day life? What do you mean by an indicator? Give an example of natural indicator? Name some synthetic indicators used in laboratory? When an acid reacts with a metal which gas is produced? 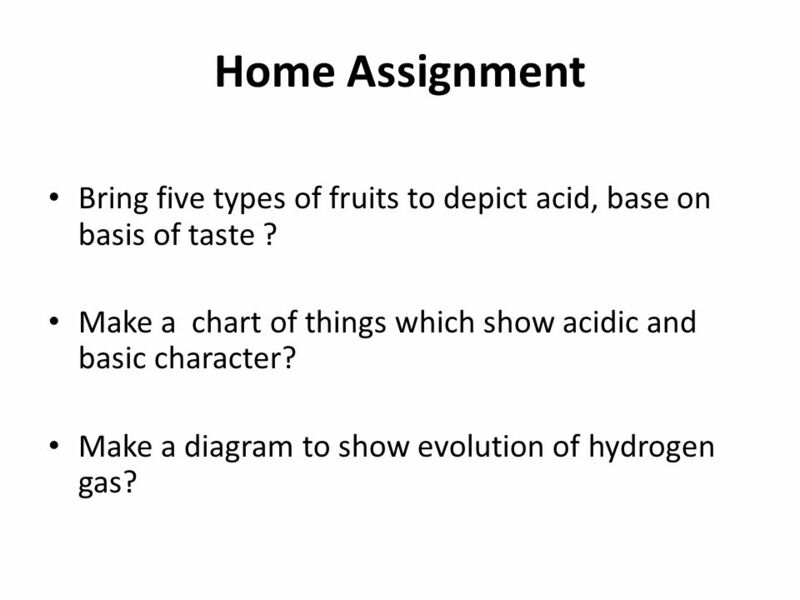 21 Home Assignment Bring five types of fruits to depict acid, base on basis of taste ? 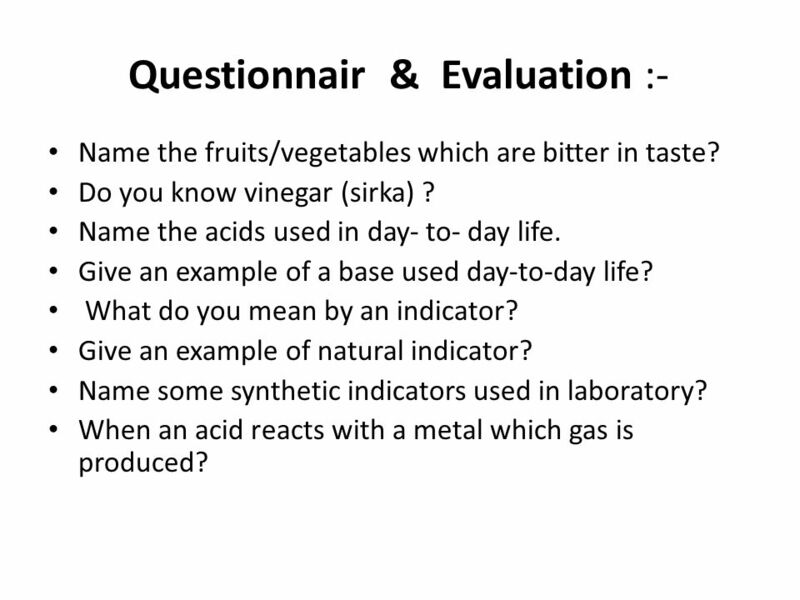 Make a chart of things which show acidic and basic character? Make a diagram to show evolution of hydrogen gas? 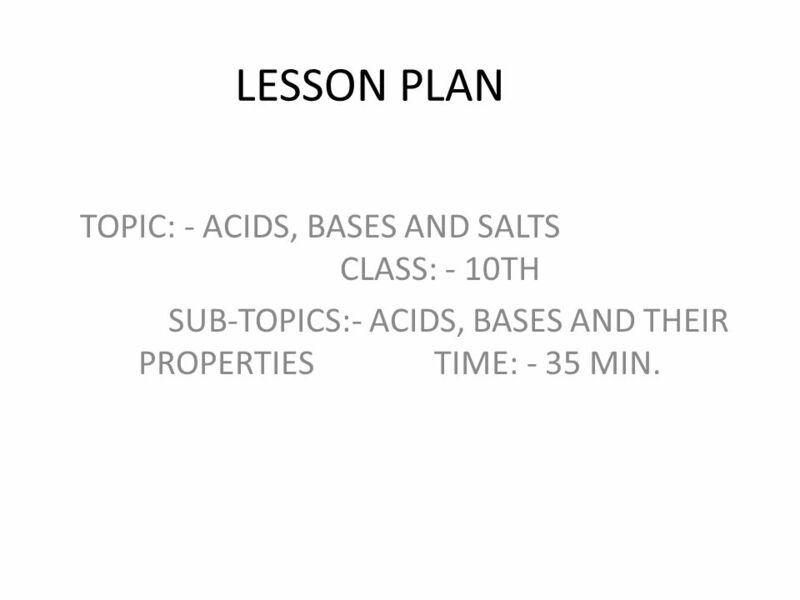 Download ppt "LESSON PLAN TOPIC: - ACIDS, BASES AND SALTS CLASS: - 10TH"
Acids and Bases. Acids Acids are substances that release hydrogen ions, H +, in solution Acids are substances that release hydrogen ions, H +, in solution. Made by SURESH KUMAR KV AFS ARJANGARH, NEW DELHI-47. Properties of Acids & Bases By: Ms. Bowie. Acids are substances that: Taste sour! Acids, Alkalis and Indicators Prepared by Mdm RY Leow The Chinese High School. Acids and Bases. 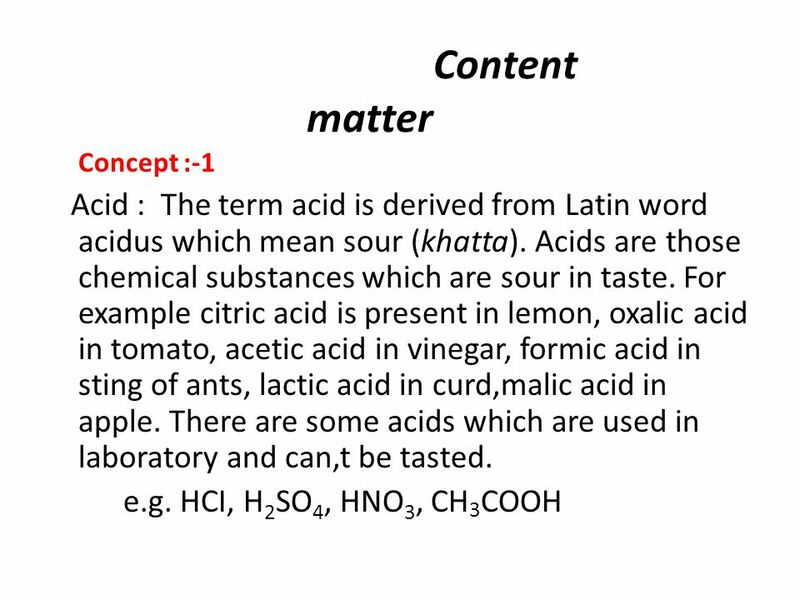 Properties of Acids: Properties of ACIDS: 1. tastes sour. Acids and bases. What is an ACID? An acid is a substance (compound) that contains an H+ ion attached to it. This is really a “loose” definition. Not entirely. ACIDS AND BASES. 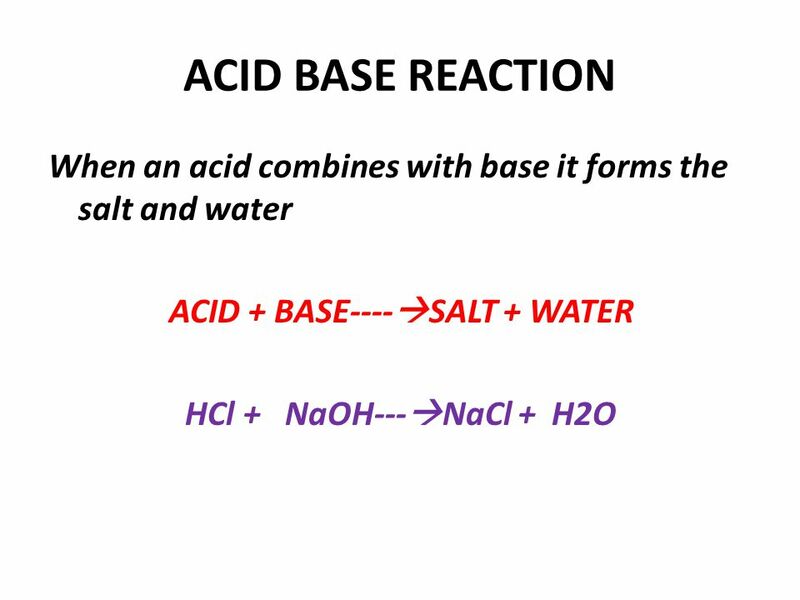 ACIDS & BASES Acids are substances that produce hydrogen ion in solution. (H + (aq) ) Bases are substances that produce hydroxide ions. Inorganic chemistry Assistance Lecturer Amjad Ahmed Jumaa  Arrhenius theory of acids and bases.  Arrhenius acids. 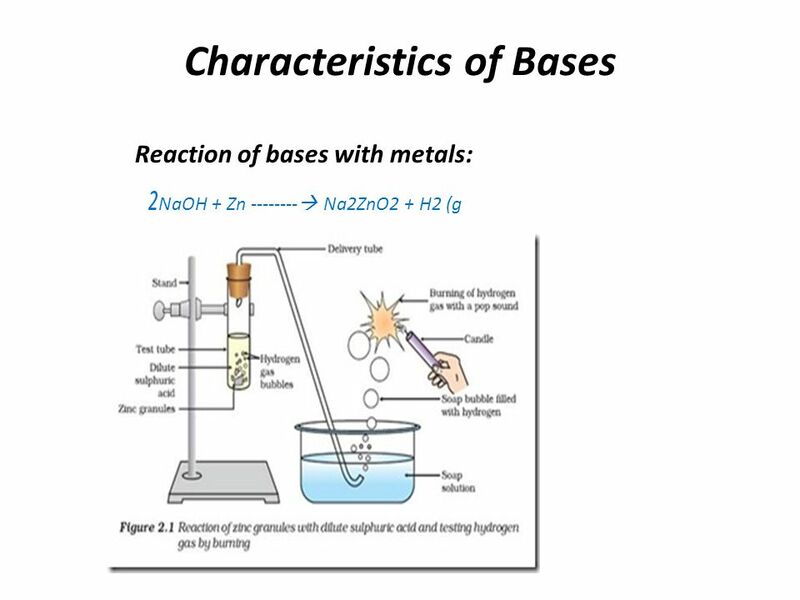  Arrhenius bases. 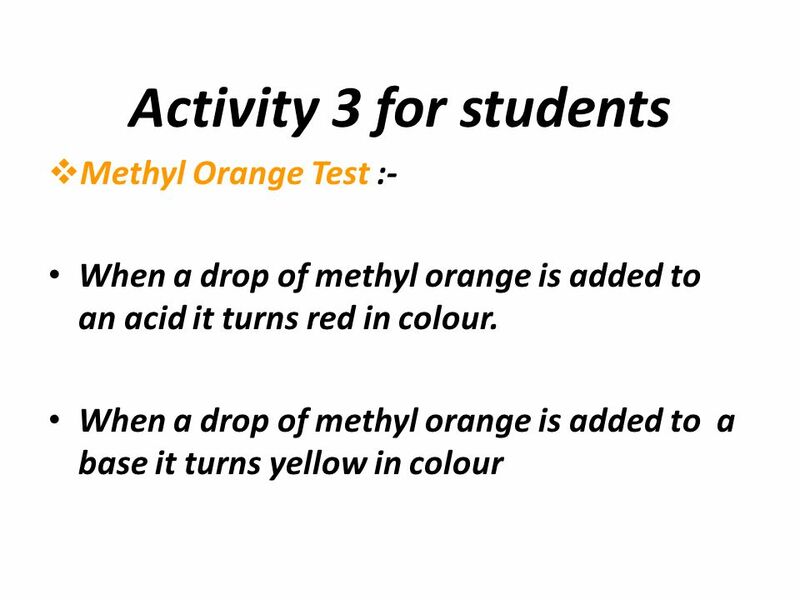 Acids and Alkalis Learning Objectives To know that solutions can be sorted by whether they are: acid, alkali or neutral. To understand that an alkali reacts. 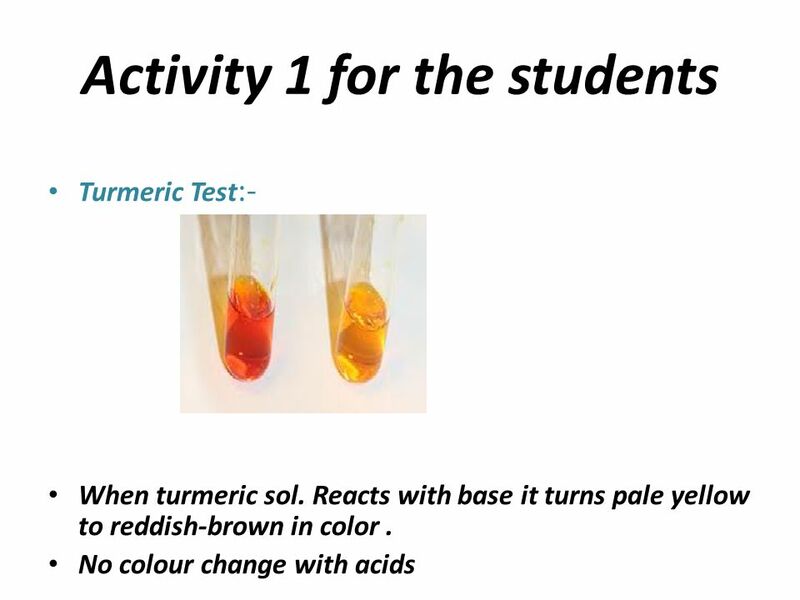 LEQ: What techniques in the lab setting will be used to identify acids and bases? 1 Acids and Bases Properties of Matter. Litmus paper - Litmus paper is a pH indicator used to test materials for acidity. Blue litmus turns red in acidic. ACIDS AND BASES www.lab-initio.com. 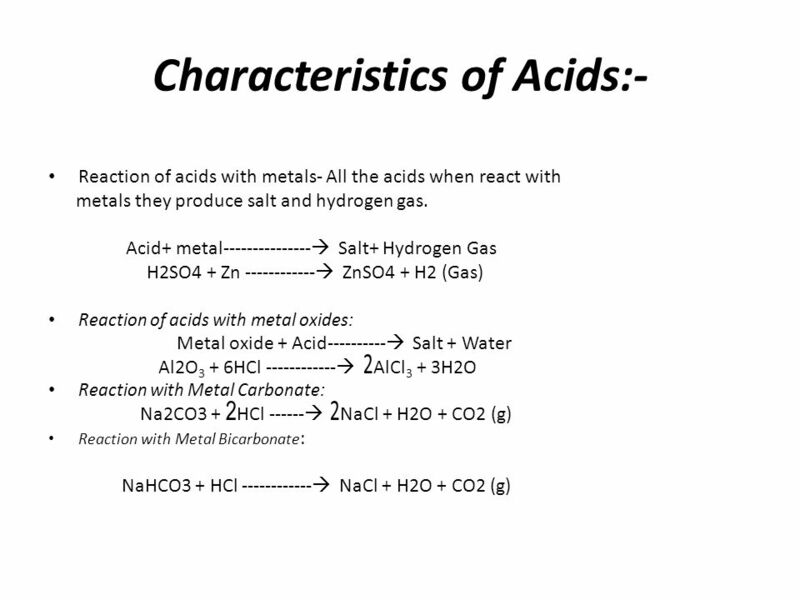 Properties of Acids  Acids are proton (hydrogen ion, H + ) donors  Acids have a pH lower than 7  Acids taste sour.